Open Adobe Digital Editions (ADE) on your Windows or Mac computer. Find the saved EPUB or PDF file on your computer. By default, files are saved to your computer's "Downloads" folder. 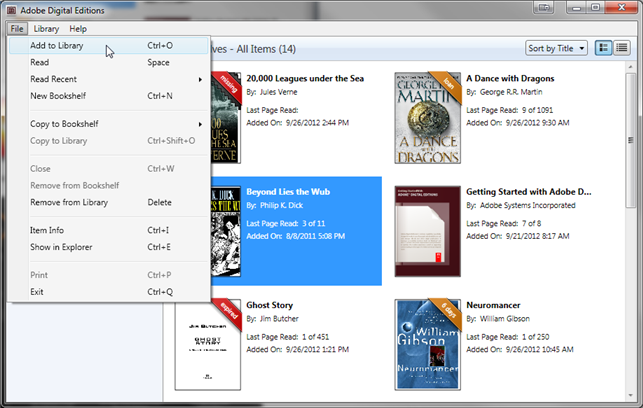 Double-click an ebook to start reading, or follow these steps to transfer it to an ereader.